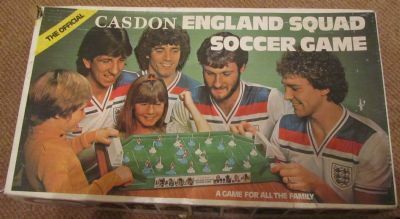 A later derivative of the famous Casdon soccer game endorsed by the England football team in the early 1980s. 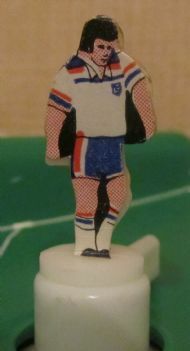 Perm-tastic photo of the England players. 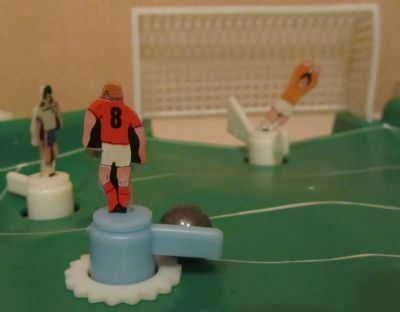 That big steel ball bearing is going to take a hell of a beating. 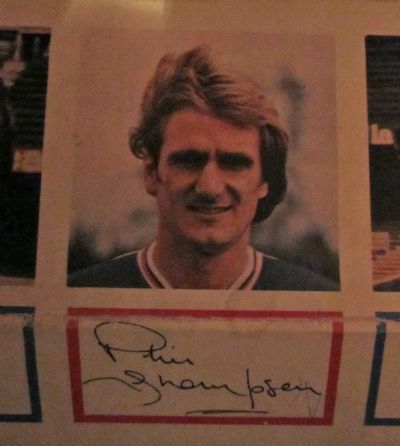 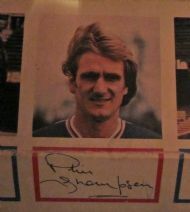 Phil Thompson's younger brother Billy Bouffant also endorsed the game. 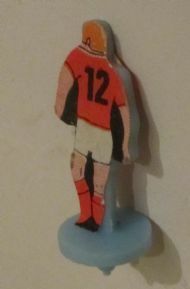 A nice touch, the game came with substitute players wearing the number 12 shirt. The famous England Admiral kit almost reproduced by a blind five year old printer. 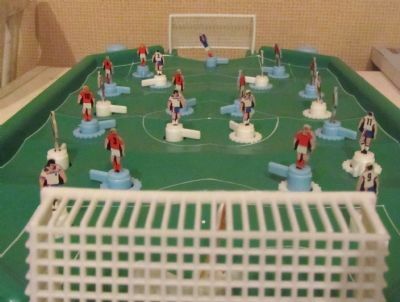 The keeper may have committed himself a little early here! 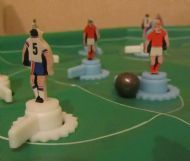 Two knobs to twiddle at each end of the pitch control the players. 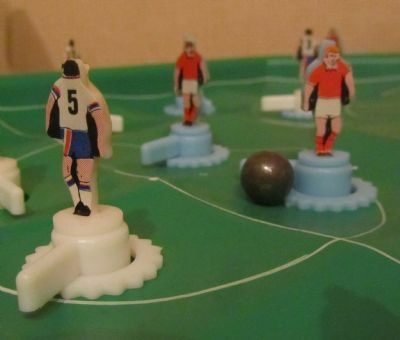 Pass the ball into the recesses to retain possession.